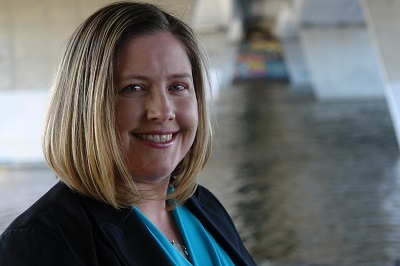 For over 15 years Jennifer has focused on delivering and marketing high-value business intelligence and enterprise solutions for global leaders (like Accenture, Cognos, IBM and Trend Micro). Jennifer has worked extensively in the area of analytics and has seen the transformative power it can have on the business - especially when applied to its most important asset, ts people. Jennifer leads PeopleInsight's Customer Success team, and if you ask any of our customers they'll tell you why. Jennifer is all about the customer and she's not happy until our customers are ecstatic. Her desk is often decorated with cards, flowers and other goodies from our customers that serve as proof that people love what she does! When not at work, Jennifer is either traveling or planning her next food or wine adventure with her husband. A favorite destination includes escaping the permafrost to spend time with her twin sister and family in Austin, Texas.